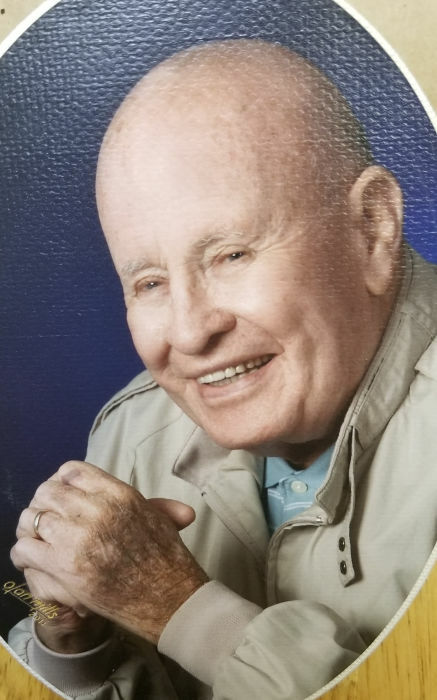 Obituary for MGySgt Martin Vincent Fitzgerald | McCall Funeral Home, Inc.
MGySgt Martin (Fitz) V. Fitzgerald, USMC Ret, 89, of McCall, Idaho passed away peacefully at home surrounded by family on 2 January, 2019. Fitz was part of the Greatest Generation having served in WWII, Korea, and Vietnam. Not only was he a great Marine, but a great husband, father, and grandfather. He was always there for his family, community, and nation. Fitz was born in Florissant, Missouri to John and Ellen Fitzgerald. He began his career in the Marines at the age of sixteen and finally retired 30 years later at the rank of MasterGunnerySergeant (E9). He married Betty in 1955 and had three sons. Upon retirement Fitz moved his family to Boise eventually moving to McCall in 1978. Fitz continued to work with the Payette National Forest Service until retirement in 1988. Fitz was an active outdoorsman enjoying camping, hunting and fishing with family and friends across the state. He was generous with his time and knowledge to generations of future hunters providing markmanship skills and gunsmithing techniques. Fitz was preceded in death by his parents John and Ellen, brothers Edmund, John, Joseph, and Francis, sisters Mary, Suzanne, and Ann. He is survived by his beautiful wife Betty, with whom he spent 64 wonderful years. Their three sons Michael, Timothy, and Daniel, his daughter in law Tanya, his grandchildren Megan, Kelsey, Sean, Ryan, Eryn, Jackson, and Grace. His brother William, sister in laws, Lois and Frances. A mass and memorial will be held at the Lady of the Lake Catholic Church, 501 Cross Rd, McCall, ID 83638, Saturday, 19 January, 12 noon. With reception to follow. In lieu of flowers please donate to Our Lady of the Lake Catholic church.